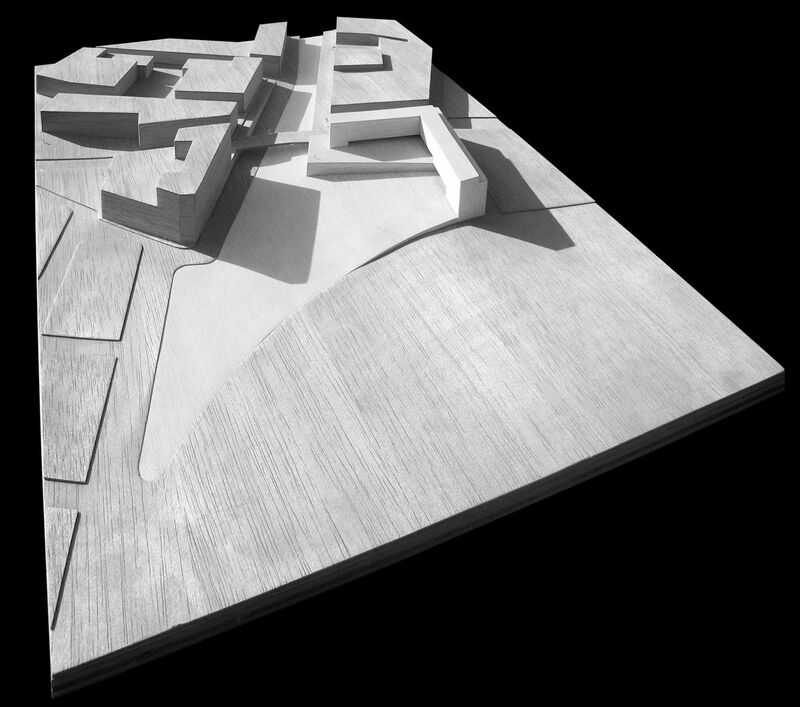 The plot is located in the limits of the city, constituting the meeting point between the ravine and the hort. The plan envisages the construction of a closed block. The program: a garden, a small shopping centre and housing. The project proposes to open up the block planned by the city hall, placing the construction against the existing roads. This way, the limit of the city is consolidated without the need to create new streets. Every house contemplates how, this way, the garden transforms into the hort. Houses that repeat this strategy in a smaller scale, placing the service areas together with the communication cores, leaving a perfectible space in which to trace different types of houses, from the most open plan to the most complete program. The shopping centre emerges from the ravine, respecting the trace of the block proposed by the urbanistic plan, with the intention to join naturally the difference of ground level between the public space and the garden, blurring its limits to integrate itself in both of them, an almost completely outdoor shopping centre. An enclosed public space is delimited by the trace of the garden, almost interior, where all the species will have in common its blue colour.